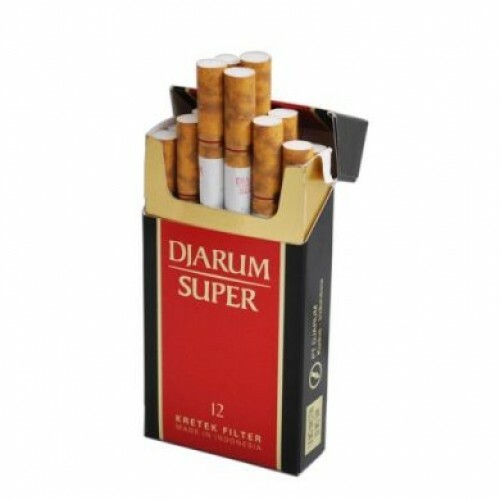 Djarum Super 12 Cigarettes a machine-rolled kretek cigarette in the Regular Premium class, is made from top-grade Javanese and Madurese tobacco, blended together with premium quality cloves that have been rendered extremely fine through Djarum’s Superfine Clove™ process. The finished product is distinguished by its fruity, aromatic flavor.The distinctly masculine red-and-black packaging bears a gold accent that represents the premium quality of the Djarum Super cigarettes. First introduced in 1981, by 1989 Djarum Super 12 was the number one best selling high-end cigarette in Indonesia. Djarum Super continues to be known as a premium product in Indonesia thanks to careful efforts to maintain its quality and image. Evoking a sense of pride. 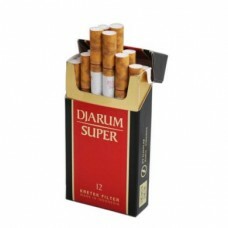 Djarum Super 16 Clove Cigarettes is a well known symbol of the kretek world.